Hostal La Banezana, Puerta del Sol, Madrid, Spain. 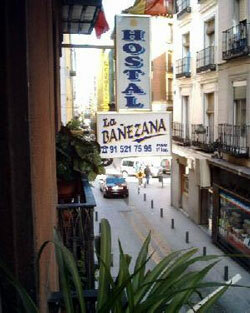 The Hostal La Bañezana is located in the centre of Madrid, next to the Puerta del Sol sqaure. 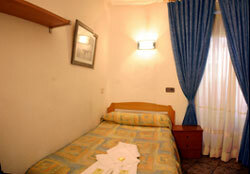 It has single, double and triple rooms all with personal bathroom, TV, central heating and telephone. It has a 24 hour reception and enjoys an ideal location for both nightlife and highlights. The museum and the main tourist zones of the city are just outside the door. There are interior or exterior rooms, allowing guests to choose between street views or greater quietness. The hostel is near near the Plaza Santa Ana and Plaza Jacinto Benavente public car-parks. Location: The nearest metro station are Sol (lines 1, 2 and 3) and Sevilla (line 2). 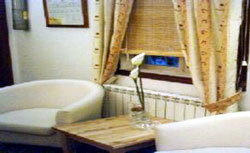 The Bañezana Hostel is located near Puerta del Sol and Plaza Mayor.